Sydney to Hobart yacht race: Wild Rose claims a second victory in race's 70th year - ABC News (Australian Broadcasting Corporation): "New South Wales yacht Wild Rose has claimed victory as the overall winner of the 2014 Sydney to Hobart yacht race. The yacht was originally named Wild Oats and won the Sydney to Hobart Yacht Race in 1993 when it was owned by Bob Oatley, whose latest yacht Wild Oats XI took line honours on Sunday...."
Video above features Line Honors Winner "Wild Oats Xl" and First time contender and Runner Up "Comanche" entering the Docks at the Hobart Waterfront soon after crossing the finish line in the 2014 Rolex Sydney to Hobart Yacht Race. Wild Oats XI - Rolex Sydney Hobart Yacht Race 2014: "Wild Oats XI is the most successful yacht in the 70-year history of the Rolex Sydney Hobart race. She secured her seventh line honours victory under the guidance of Mark Richards in last year’s race. In 2012 she broke her own race record, which now stands at 1 day, 18 hours, 23 minutes 12 seconds, and won the race overall. It was the second time the supermaxi had achieved this historic treble, and the only boat to do so twice in the race’s history. Once again, Wild Oats XI has been modified for the Rolex Sydney Hobart. Her bow has been streamlined, she will carry a new hydrofoil wing, and will be fitted with two new high-tech sails – a mainsail and a ‘code zero’ headsail. These modifications are aimed at keeping the nine-year-old yacht competitive against more recent designs. Richards and the crew now affectionately refer to their charge as the ‘Swiss Army Knife’, because of the number of appendages she boasts: a hydrofoil wing, a retractable forward centreboard, two retractable daggerboards, a canting keel, and the conventional rudder at the stern... Richards and his crew mustered all their resources this year as four other supremely competitive supermaxis and their crews – including the new Comanche 100-footer from America –vied for a line honours win. Wild Oats XI’s navigator, Juan Vila, was navigator for the victorious Alinghi crew in the 2007 America’s Cup match." Day 1 action from the 2013 Orange Bowl International Youth Regatta. Day 2 action from the 2013 Orange Bowl International Youth Regatta. The 69th annual Orange Bowl International Youth Regatta on Biscayne Bay in Miami, December 27-30, 2014: more than 675 sailors (ages 8 to 18) from 27 states and 23 nations, competing in five classes — Optimist, Laser full, Laser Radial, Laser 4.7, and Club 420. In attendance will be sailing coaches from many colleges with sailing programs. With courses on Biscayne Bay east of Coconut Grove, the plans are to hold 12 races over four days. Biscayne Bay is known as a world venue for competitive sailing and training. Regatta headquarters is Coral Reef Yacht Club in Coconut Grove. Additional support is being provided by the U.S. Sailing Center in Miami, Lauderdale Yacht Club, and Shake-A-Leg Miami. How to follow the Rolex Sydney Hobart Yacht Race - Cruising Yacht Club of Australia: For those who can't get to watch the live broadcast of the start of the Race on the Seven Network across Australia, Yahoo!7 will webcast the program. You can also watch the same webcast on the home page of the Rolex Sydney Hobart Yacht Race website: www.rolexsydneyhobart.com. On the website is a list of yachts entered, with photo and description of each boat, crew list, and the boat's performance data, predicted finishing time and standing for both Line Honors and Division which is updated every 10 minutes. Ed’s One Last Midnight Ramble in Rolex Sydney Hobart - Rolex Sydney Hobart Yacht Race 2014: "One of the most respected, uber-competitive sailors at the Cruising Yacht Club of Australia, one time holder of its proudest trophy, the Tattersall's Cup, Ed is hanging up his sea boots. Yet as one Psaltis retires from racing, a new generation emerges. Ed’s son, Ben, will be cutting the first notch in his Rolex Sydney Hobart belt..."
Wild Oats XI - Secrets unveiled: What goes on under the water could be the reason Wild Oats XI has won 7 Sydney-Hobart races. Oldies return for Rolex Sydney Hobart - Rolex Sydney Hobart Yacht Race 2014: "When the cannon fires sending the 118 entries on their way in the Cruising Yacht Club of Australia’s 70th Sydney Hobart Yacht Race on December 26, two yachts will stand out, because they first competed back in the early days of the race. There is plenty of nostalgia to this year’s Rolex Sydney Hobart, abetted by Southern Myth and Landfall, who sailed the race in the 1950’s and 1960’s. Peter Riddell’s Southern Myth is a 12.5 metre Bermudan sloop designed by Laurent Giles and built by R. T. Searles of Adelaide in 1953. She was commissioned by Norm Howard from Adelaide, who contested the Hobart race from 1954-1965, only missing the 1964 race. She finished fifth in her maiden race and scored a best result of third overall in 1958..."
Essence of Sailing, Volvo Ocean Race 2014-2015 video. The essence of sailing: incredible footage by Onboard Reporter Amory Ross, evocative music from the City of Birmingham Symphony Orchestra , conducted by Michael Seal - with special thanks to Visit Abu Dhabi. Three friends had a dream - and made it a reality. As Abu Dhabi Ocean Racing takes part in its second race, they look back on how they got this far. The ‘Stress of Sailing’ medical study continues as these boats & men go around the world. Team Alvimedica’s sailors underwent tests as soon as they docked in Abu Dhabi. Team Vestas Wind salvage plan: The big plan | Volvo Ocean Race 2014-2015: "Neil Cox has been Chris Nicholson’s shore manager for two Volvo Ocean Races before they entered their third one together with Team Vestas Wind. But the Aussie expert had never, ever been in the situation he is in now – heading to a remote Indian Ocean reef to recover the blue Volvo Ocean 65 after it ran aground in the middle of the second leg, on November 29. Shane Smart/Volvo Ocean Race “The ultimate plan, the gold-medal prize we’re reaching for, is to get the boat buoyant enough to float it across the lagoon to get it into more protected water,” explains Neil, or Coxy, as everybody calls him...."
The ISAF Sailing World Championships is the ultimate test of racing skill, short of the Olympic Games itself. Get onboard with members of the US national sailing team as they prepare for this crucial challenge in 2014. 50 Golden Years of the Sydney Hobart Yacht Race produced to celebrate the 50th race in 1994. This episode runs for 15 minutes and features some of the controversy the race has experienced since its establishment. The episode begins with the disqualification of Nirvana relating to the incident that saw Condor run aground in the Derwent River and later awarded Line Honours title in the 1983 Sydney Hobart Yacht Race. Features in the episode include a run down of how the race record has been reduced over the years and the introduction of multiple start lines in 1986 as a result of the growing popularity and fleet sizes in the race. The episode also features some of the rough weather years, particularly the 1984 race which saw only 46 of the 152 starters make it to Hobart, and the tragedy that came in that year when Wal Russel, a crewman on Yahoo 2 paid the ultimate sacrifice, and became the first fatality recorded in our great race. It also features the rough race of 1993 when 76 of the 105 starters sort refuge along the NSW and Tasmanian coast, and only 38 yachts reached Hobart. In that race the miracle of John Quinn being rescued after falling overboard is documented. The episode finishes with a great video montage set to a terrific electric guitar riff. The charity, which aims to inspire young people through sailing, held the global sailingrace in memory of the Olympic sailor who died in May 2013. Neil Cox has been Chris Nicholson's shore manager for two Volvo Ocean Races before they entered their third one together with Team Vestas Wind. Legendary Sailor: Cornelis van Rietschoten, an Ocean Racing legend | Volvo Ocean Race 2014-15: On December 17th 2013, a true legend of the Whitbread Round the World Race (predecessor to the Volvo Ocean Race) crossed the final finish line. He was a pioneer of the sport and the only person to win the race twice as a Skipper. Report into Team Vestas Wind grounding | Volvo Ocean Race 2014-2015: "An independent report into the grounding of Team Vestas Wind’s boat on a reef in the Indian Ocean has been set up by the Volvo Ocean Race. The incident happened on November 29 on Leg 2 of the current 12th edition. The crew escaped safely after suffering minor injuries. The boat, Vestas Wind, ran aground on the Cargados Carajos Shoals (St. Brandon), 240 nautical miles northeast of Mauritius. A panel, to be chaired by Rear Admiral Chris Oxenbould (Rtd), is to provide the Volvo Ocean Race with its final report by January 31, 2015. Volvo Ocean Race intends to make the report publicly available to make sure its learnings benefit the whole sailing world and not only the race. This is scheduled for no later than during the Auckland stopover (February 27-March 15)...."
US Sailing Team Sperry Top-Sider athletes racing at the site of the 2016 Olympic Games in Rio de Janeiro, Brazil. Image: Will Ricketson/US Sailing. Maury Roe, 88: Optimistic Coca-Cola executive loved family, sailing. This week, the fleet experiences a tropical storm, some crews celebrate Thanksgiving while others are battling centimeter by centimeter to keep their lead. And it’s every sailor’s nightmare when Team Vestas Wind hits rock bottom and has to send out a Mayday call. Team SCA’s 6th place in the second leg did not shake the all-female crew's enthusiasm, nor their ability to smile, reflect and improve. Check out the footage of the last and late night arrival into Abu Dhabi. Extreme Sailing Series™ 2014 highlights video above. Sydney, Australia hosted the grand final to the 2014 Extreme Sailing Series™ which has been one of the most competitive and exciting to date. Over 11 months of global touring, from Asia to the Middle East, Europe to Australia, the best in the sport went head to head in one of the toughest events in professional sailing - but this is a level playing field. With new teams joining the line up the expectations were huge, everyone had a point to make, and the stakes were high. Extreme Sailing Series™ Act 8 Sydney presented by Land Rover in 90 seconds--Act 8 Sydney presented by Land Rover has delivered in spades for the final Act of the global tour, with the best racing of the year - and some of the most memorable in the Series' eight-year history. Watch a 90 second snap shot of the highlights above. Olympic champion Nathan Wilmot and his team on GAC Pindar had their regatta cut short on the final day of racing in at Act 8 Sydney presented by Land Rover, following a collision with Realteam. The Aussie's were overtaking Realteam on the downwind leg and attempted to bear down in front of her as she passed, misjudged it and got their port rudder knocked off, leaving them without steering and no control of the boat. Watch the capsize above. Extreme Sailing Series: Alinghi crowned 2014 (and Sydney) champion in the best day’s racing of the year--"It is mission accomplished for Ernesto Bertarelli’s Swiss team Alinghi, as Morgan Larson and the team grabbed victory with both hands at Act 8 Sydney, and with it the 2014 Extreme Sailing Series™ title – and Larson’s words say it all: “We’ve had an amazing season with an amazing team. To win the season and the Act on the last day in the conditions we had here in Sydney, which is the best sailing venue in the world, is a special moment that’s going to take a long time to sink in. The level of confidence that we have on our boat just made me realise I can win anything with these guys. This is the best feeling I’ve had all year and probably in the whole of my sailing career, so I’m going to cherish it.”... (read more at the link above)"
All points provisional until ratified. Each team gets the same points as their finishing position, eg first place gets 1 point. All legs count and lowest score overall wins. In-Port Race results are only used in the event of a tie in the overall Race. Extreme sailing is an eight-year-old sport and follows a similar format to Formula One where teams compete against each other at different venues. After 23 days and 16 hours at sea, having covered 6125 nautical miles, Team Brunel arrives first into Abu Dhabi, finishing only 16 minutes ahead of Dongfeng Race Team! Volvo Ocean Race Leg 2, Abu Dhabi Finish: see Dashboard/Tracker.Also: JohnTheCrowd.com: VOR (updates). This is it! The Volvo Ocean Race 2014-15, Leg 2 is coming to an end. With just a few hours to go it seems like a three-way battle for first between Team Brunel, Dongfeng Race Team and Abu Dhabi Ocean Racing. Dongfeng Race Team gives us a peek into the very tight (and very light) battle to Abu Dhabi. Volvo Ocean Race Leg 2, Abu Dhabi Finish: see Dashboard/Tracker. 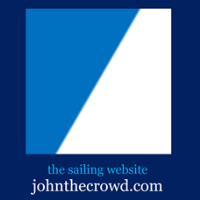 Also: JohnTheCrowd.com: VOR (updates). "... At the end of November, ten days into the race’s second leg—a three-and-a-half-week-long sail from Cape Town, South Africa, to Abu Dhabi—Team Vestas Wind, sponsored by a Danish wind-energy company, was in fifth place among the seven-boat fleet. The six-million-dollar, sixty-five-foot sloop was skippered by Chris Nicholson, a forty-five-year-old Australian with four Volvo races under his belt. It was moving nineteen knots shortly after sunset (7:10P.M. local time) on November 29th when it slammed into a coral reef, part of an archipelago named St. Brandon, two hundred and sixty-eight miles off the coast of Mauritius...."
see Dashboard/Tracker. Also: JohnTheCrowd.com: VOR (updates). Known as the Harbour City, Sydney, Australia will host the final Act of the 2014 global tour. Team New Zealand pull out of Extreme series | Stuff.co.nz: "Team New Zealand have pulled out of the final and decisive regatta in the Extreme Sailing Series in Sydney to concentrate all their resources on their America's Cup challenge. Emirates Team New Zealand boss Grant Dalton said the decision was made once Bermuda was confirmed to host the next America's Cup final in 2017. That long-awaited decision had given the team the impetus to press on with funding and design plans with some certainty. The team are also exploring hosting the main buildup challengers' series in Auckland in early 2017 – the equivalent of the old Louis Vuitton Cup...."
Team Brunel in lead for Saturday finish of Leg 2, Volvo Ocean Race, with less than 400 miles to go. Volvo Ocean Race: Dec 9, 2014 --There's no doubt, it's a three horse race to Abu Dhabi. Distance is relative | Volvo Ocean Race 2014-2015: "... The Dutch boat [Team Brunel] is seriously heeling: the leaders are enjoying a good northeasterly breeze and Dongfeng are seven miles behind. But they know it may not last. “We’re going to have less wind and we’re going to hit it first,” adds Gerd-Jan. He opens his hands. “Basically, this is 15 miles. When we’ll arrive in the channel, the others will get closer because they’ll keep the wind longer and we’ll go slower.”..."
The second leg of the Volvo Ocean Race will stopover in Abu Dhabi from December 12 - January 3 with up to 175,000 visitors expected to attend. Rolex Sydney Hobart Yacht Race 2014: "Jim Clark and Kristy Hinze-Clark's Rolex Sydney Hobart entry Comanche was out for her first sail today, 6 December, on Sydney Harbour. Comanche is an entrant in the Sydney Hobart Yacht Race"
SOLAS Big Boat Challenge - This is My Reservation - Cruising Yacht Club of Australia: "A large spectator fleet watched Bob Oatley’s 100 foot maxi Wild Oats XI declare that Sydney Harbour is still her back yard, the brand new, revolutionary American upstart, Comanche notwithstanding...."
Volvo Ocean Race ETA Abu Dhabi Dec 13 - A blast through the fleet as they drag race northwest to the waypoint off Oman, and a short word from Vestas CEO about the future of Team Vestas Wind. The Battle for Abu Dhabi| Volvo Ocean Race 2014-2015: "With less than 300 miles to go until the leading pack turn north toward the Gulf, the battle seems to stand between Team Brunel, Dongfeng Race Team and Abu Dhabi Ocean Racing."